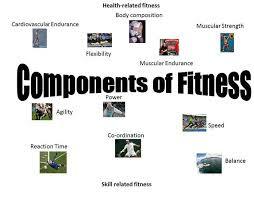 Basic objective of this article is to describe what is Fitness and the Components of Fitness. Here focus on health awareness by body fitness. One of the the secrets and benefits of health is intense workout exercise; this forces the center to pump the bloodstream faster, thus increasing the oxygen percentage at cellular levels and removing waste that accumulates on account of natural processes that occur in the whole body systems.